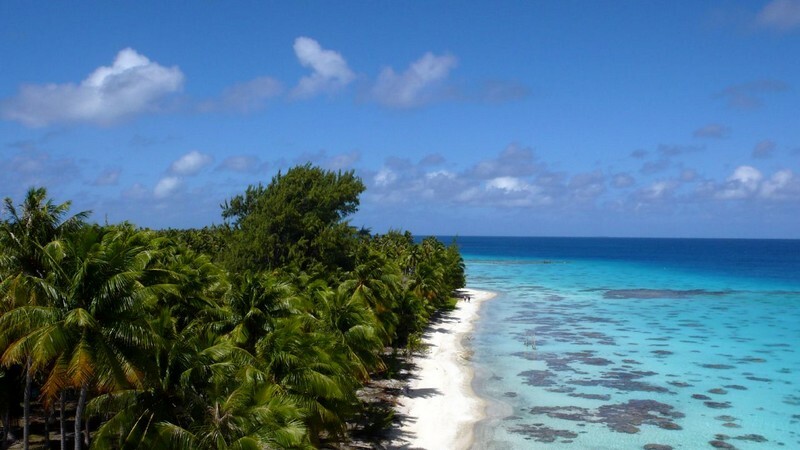 Start your adventure in the South Pacific in the French Polynesian atoll of Fakarava. 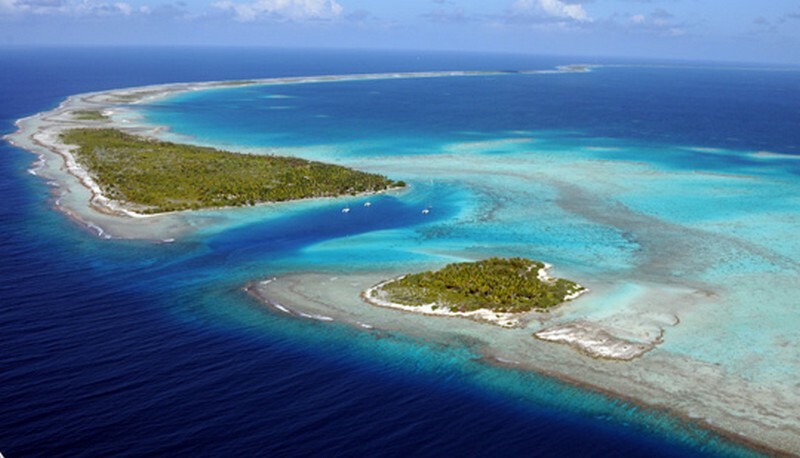 Arrive at the Fakarava Airport located on the island’s north side and after climbing aboard your luxury charter yacht, sail south to discover this beautiful atoll. Make yourself comfortable onboard and open the yacht’s toy chest to spend a relaxing afternoon of snorkeling, diving and kite boarding. What makes Fakarava so remarkable is the fact that it is classified a UNESCO biosphere reserve with a wealth of exotic verdant flora, tropical animal species and an abundance of vibrant coral reefs to explore while underwater. Wake up to an exquisite Polynesian sunshine aboard your luxury charter mega yacht or luxury charter powerboat and enjoy a sumptuous alfresco breakfast taken on the aft deck. Sail on and later moor off a secluded islet with a pink sandy beach for a late-morning session of swimming, snorkeling or diving in sparkling turquoise waters. The south pass of the islands offers endless possibilities for guests of all ages and interests. The youngest passengers will be delighted to participate in an especially arranged treasure hunt on a “treasure islet” hiding ancient skulls. Spend the afternoon exploring the island’s old village and walking through the atoll. Stop by the ancient Roman Catholic Church constructed by French missionaries and take in the appeasing ambiance before returning onboard and relaxing with a freshly prepared cocktail in your hand while admiring the sunset. Today your luxury charter yacht will cruise back to the north pass while you enjoy a tender ride to the quaint islets and discover the rich and vibrant marine life. 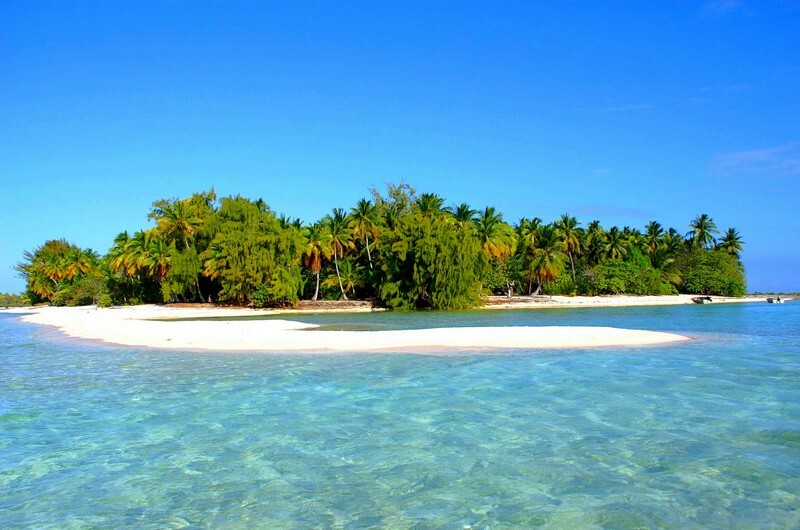 Arrive on Toau, an island to the north of the island of Fakarava which boasts a wide lagoon and remains mostly deserted. Enjoy some magnificent swimming and snorkeling or spend the afternoon on a coconut crab hunt! The Toau lagoon will be all yours to discover later during the day when your luxury charter catamaran moors off a quaint beach and when you take out some equipment from the vast water toy chest which includes tenders, water skis, wake boards, knee boards, windsurfing, a kayak, fishing, snorkeling or diving equipment, to name but a few. Dine onboard on the aft deck or the voluminous flybridge to take in all the wonderful vistas. 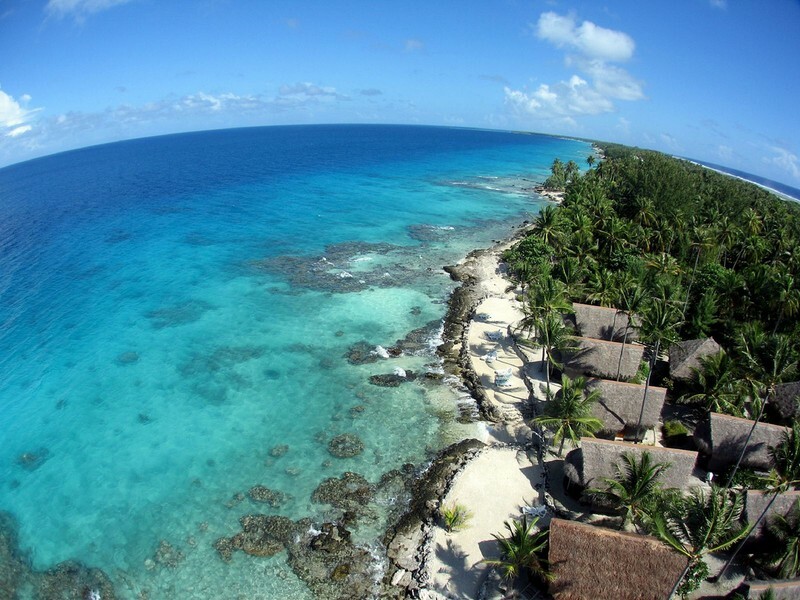 Rangiroa is the biggest atoll of the region and the second largest in the world and you will have the unique chance of exploring it with Sunreef Yachts Charter. Enjoy a sumptuous breakfast aboard the yacht and sail around the crystal-clear azure lagoon beautifully sparkling in the hot sun. Explore exotic submarine flora and fauna while swimming, diving or snorkeling and take a close look at black-pearl producing oysters that abound in the region. Visit the Kia Ora Resort & Spa for a marvelous treatment for the five senses or a succulent meal served in one of the hotel restaurants accompanied by a freshly prepared cocktail. Hop back onboard for a relaxing evening and get ready for another adventure-packed day in the South Pacific with your luxury charter catamaran or luxury charter sailing yacht. 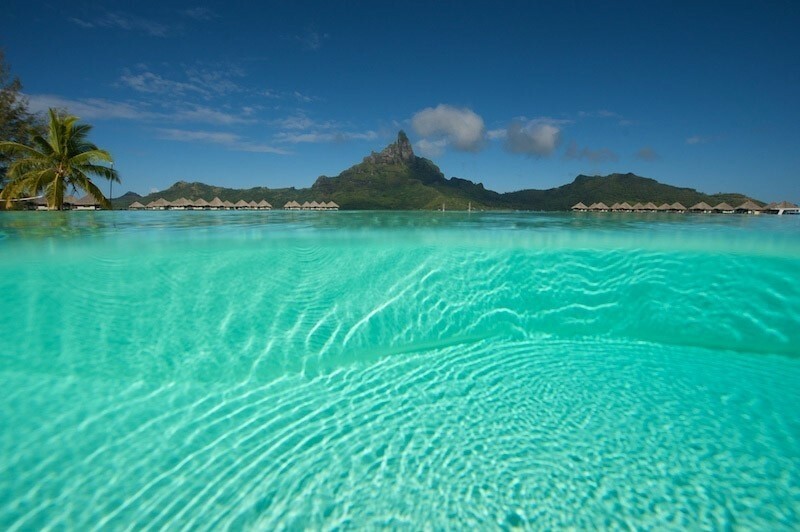 Fly in to Bora Bora in the morning or opt for a longer sail over to the island. 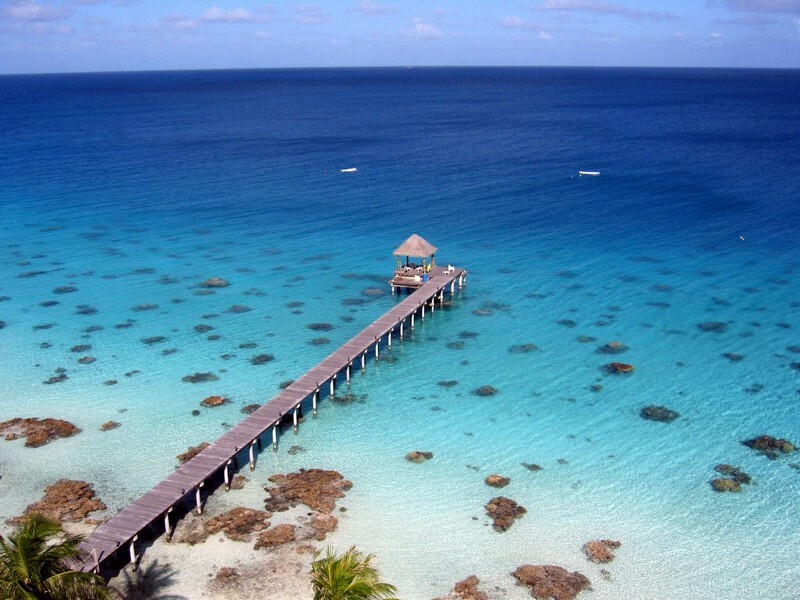 Visit the Four Seasons Resort for a facial or body treatment or a rejuvenating massage or the Bora Bora Pearl Beach Resort and Spa. Start hunting for that perfect black pearl in one of the pearl shops on the island. Dine ashore in one of the premium restaurants or choose to spend time aboard the luxury charter catamaran. The world’s most beautiful lagoon is your attraction for the day. You are free to choose from a plethora of land and aquatic activities and we recommend you dive with manta rays. Take your tender ashore to enjoy horseback riding along exquisite powdery beaches or take a rendez-vous helicopter ride to admire the islands from a bird’s eye-view. Bora Bora is also lined with artisan art galleries and shops where you will find perfect souvenirs from your luxury charter vacation. If you do not wish to dine onboard, choose one of the private islets for a romantic retreat featuring traditional Tahitian musicians and fire dancers. 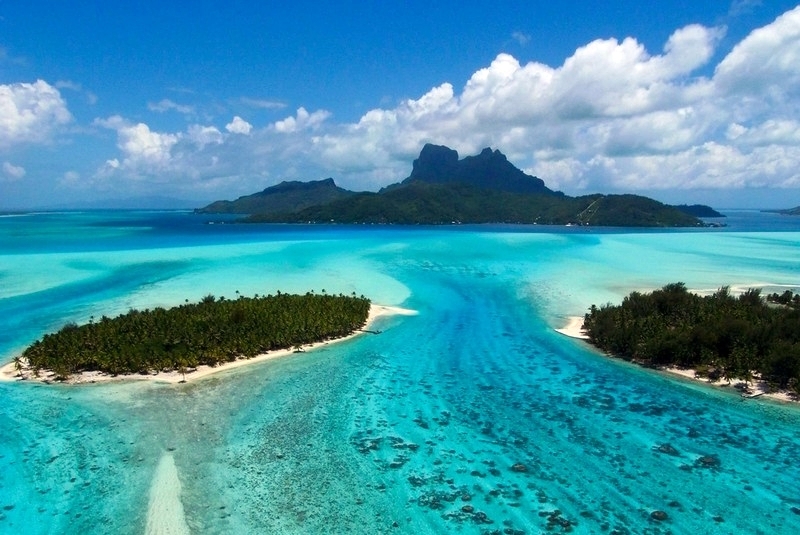 Head a bit to the south of Bora Bora and you will reach two neighboring islands or Tahaa and Raiatea. The fragrant island of Tahaa is known as the “Vanilla Island” thanks to the number of vanilla plantations stretching along the rolling hills. The island produces a grand majority of French Polynesia’s vanilla and Tahaa’s pearls are known for their high quality. 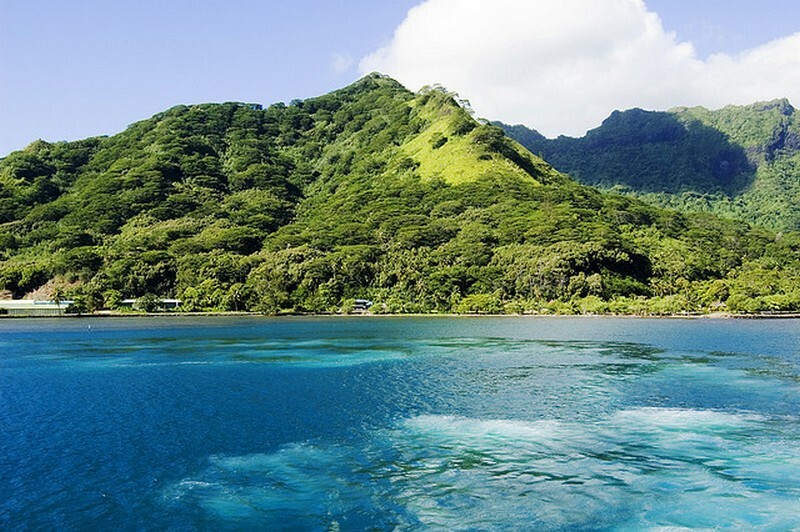 The next day, sail over to the southern island of Raiatea exuding ancient Polynesian culture. The island is home to the largest marae in the region (a sacred place of religious and social purposes endemic to the Polynesian islands). Stop over in Uturoa, the island’s administrative capital where picnicking areas include a coastal park and parks on the mountainous side of the town, all revealing magnificent views of the region. 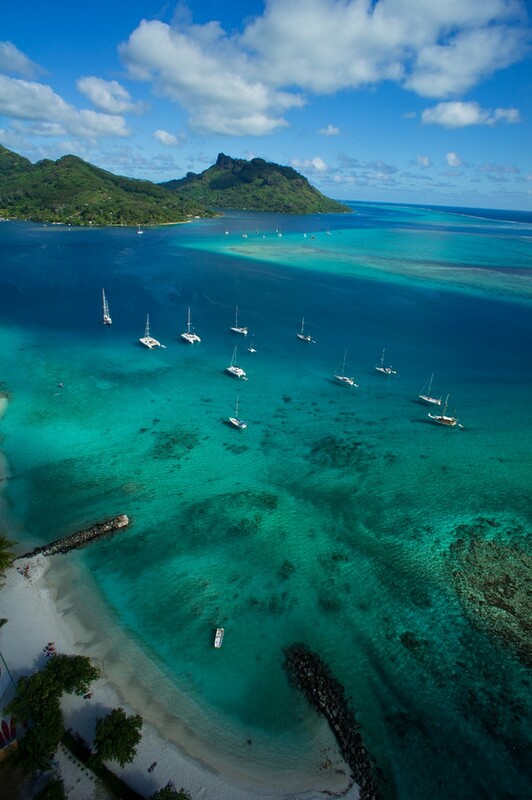 After breakfast, sail over to the Huahine, a leeward island to the East of Raiatea. Spend your time on the island picnicking with traditional Polynesian musicians and soaking in the original island culture. While there, visit its northern part home to the Fa’ahia archeological site containing subfossil remains of several species of extinct birds annihilated by the earliest Polynesian colonists of the island. After a fun-filled day of sightseeing, lounge around on the flybridge aboard your luxury power catamaran and relax with a freshly prepared cocktail in hand. 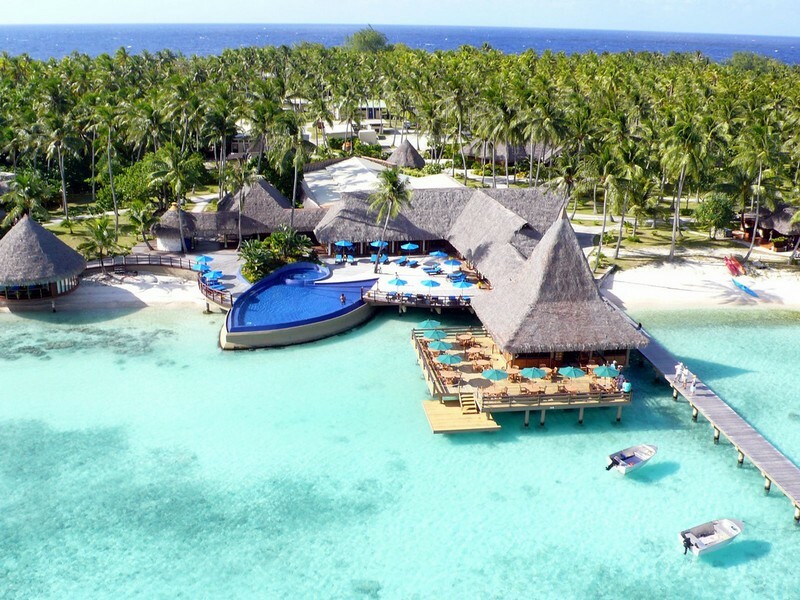 Catch wind in your sails and head over to Moorea, an island of volcanic origin a dozen or so miles northwest of Tahiti also known as “Tahiti’s sister island” and featuring top-notch spas, fine dining and premium golf courses. Swim with the dolphins at the Moorea Dolphin Center, opt for whale-watching if you happen to visit the island between August and October or swim and dive with magnificent humpback whales. This honeymoon island is considered by some to be one of the most beautiful island’s on the planet thus being a perfect charter destination. Your two-week luxury charter vacation aboard an exquisite mega yacht passed in the blink of an eye and it is now time to head over to Tahiti from where you will fly back home. 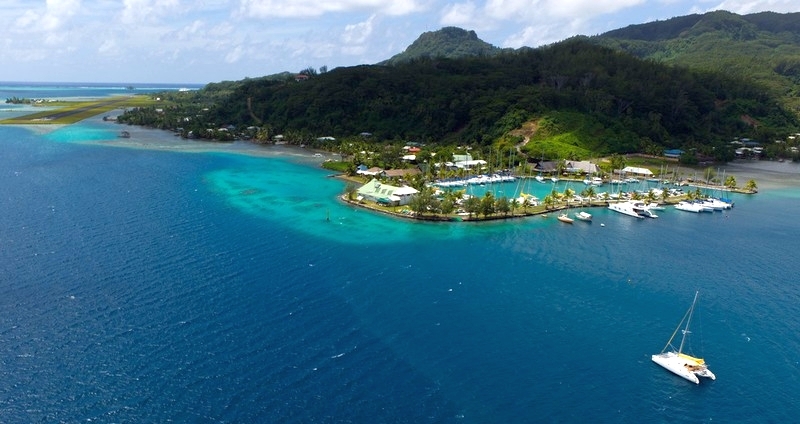 Opt for a short flight to Tahiti or enjoy your final sail aboard the yacht to take some last-minute shots before leaving this terrestrial paradise. We hope you recharged your batteries during your stay onboard and until next time with Sunreef Yachts Charter!